With the Qualysoft Accelerator you can test your processes for Microsoft Dynamics CRM fully automatically and end-to-end: With the add-on to the powerful Tricentis Tosca you ensure the quality of your Microsoft Navision and Dynamics CRM business processes. You can use the Accelerator developed by Qualysoft to secure your business-critical CRM processes: from the CRM application to the transfer to your further systems. The add-on is immediately ready for use and covers important use cases already out of the box: With the help of pre-defined transactions, which were packed into finished processes, you start with your test automation without additional integrations! 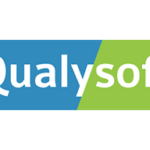 With the Qualysoft Accelerator your applications are fully controllable and can be used at any time for test automation. Your business data can be added simply and automated test sequences can be customized with little or no effort. Based on the needs of our clients, the Accelerator provides a quick start in the automation of your CRM software tests. You can profit from the benefits of automated software testing for your CRM solution and increase the quality after the implementation of change requests and migrations by a multiple. TestCases and Modules are saved according to the menu structure in Microsoft Dynamics 365 CRM to guaranty easy and clear navigation throughout the test automation.